DRAWSKO POMORSKIE TRAINING AREA, POLAND. 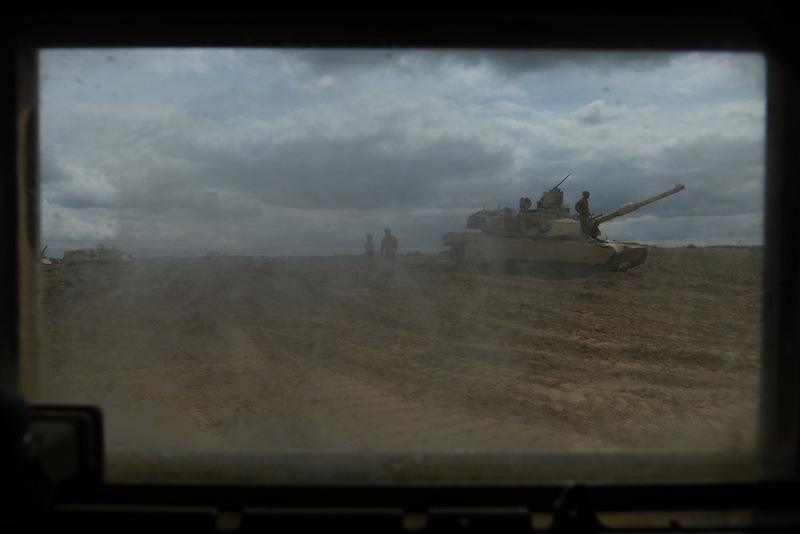 American soldiers with the 2nd Battalion, 7th Infantry Regiment, 1st Armored Brigade Combat Team, 3rd Infantry Division based out of Fort Stewart, Georgia in an American Abrams M1A2 tank in position for a live fire exercise as seen through the window of a Humvee on June 16, 2015. NATO is engaged in a multilateral training exercise "Saber Strike," the first time Poland has hosted such war games, involving the militaries of Canada, Denmark, Germany, Poland, and the United States.